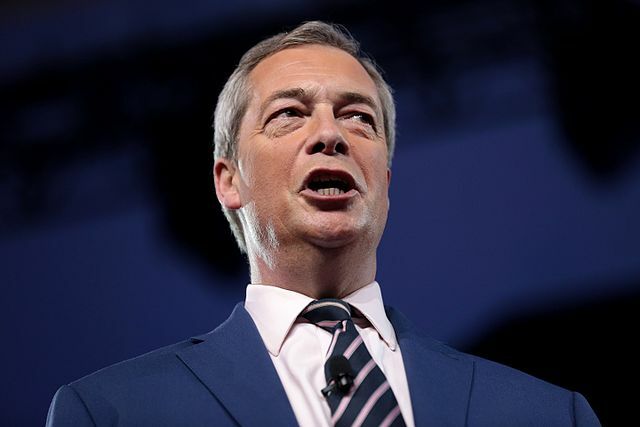 Brexit hero Nigel Farage slammed British Prime Minister Theresa May for supporting the "absolute theft" of land from white farmers in South Africa saying, "Standing up for white people is clearly too awkward and difficult for our Prime Minister." 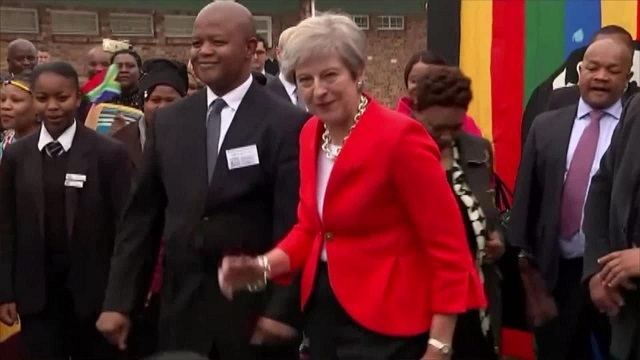 May visited South Africa this week and figuratively danced on the graves of murders Boars after defending the "democratic" expropriation of white farmers' land which she said presents an "opportunity to unlock investment." "The UK has for some time now supported land reform that is legal and transparent and generated through a democratic process. I discussed it with President Ramaphosa during his visit to Britain earlier this year and will discuss it with him again later today," May told guests of the British High Commission in Cape Town before meeting President Cyril Ramaphosa on Tuesday. "I welcome the comments that President Ramaphosa has already made, bearing in mind the economic and social aspects of it. I think he's made some comments that it won't be a smash and grab approach. I think there's an opportunity to unlock investment," she said. Nigel Farage fired back in a tweet on Wednesday which quickly went viral. "The South African land reform process is clearly not legal or transparent as Theresa May suggests," Farage said. "It is absolute theft and I'm afraid with it we are losing the lives of many farmers." "Standing up for white people is clearly too awkward and difficult for our Prime Minister," he said. The South African land reform process is clearly not legal or transparent as @Theresa_May suggests. It is absolute theft and I�m afraid with it we are losing the lives of many farmers. Standing up for white people is clearly too awkward and difficult for our Prime Minister. This is the man who should be the Prime Minister of Britain rather than the spineless sellout May who stabbed voters in the back by selling them out on Brexit!